Today we had Brent and Kate doing our medieval villages tour in #Girona. Tiny roads without any traffic, small villages and beautiful churches. Cycling paradise!! 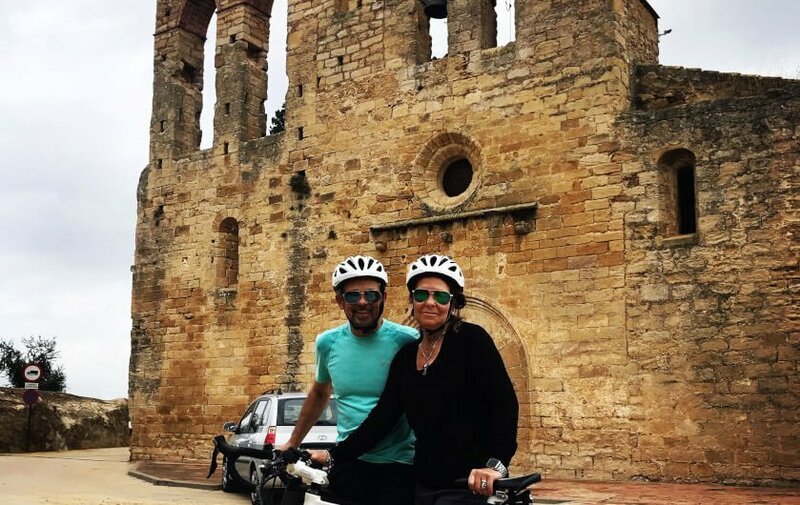 In our medieval villages cycling daytrip we lead to amazing villages as Peratallada, Pals, Monells or Madremanya. Our pleasure to let you all know about this fantastic roads and villages! Today we did our Medieval villages tour with Jeff and Alda, from the US, getting to those tiny medieval villages with some beautiful churches. And into those narrow roads without any traffic. 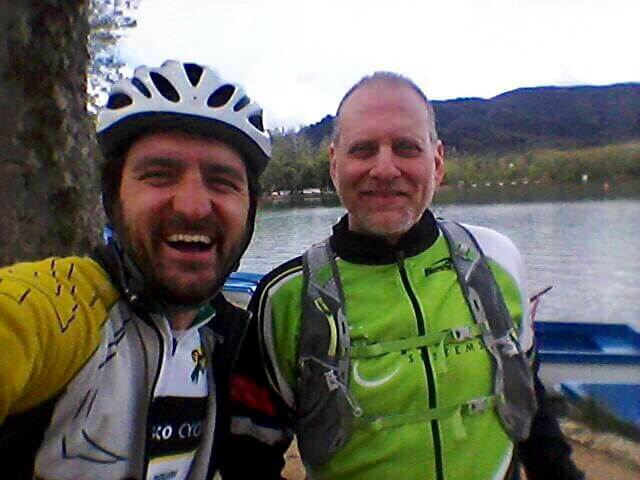 Great cycling in Girona province! The experience is complete including lunch after ride in a typical local restaurant. Also food is amazing around Girona! Rocacorba is one of the most famous climbs around Girona. 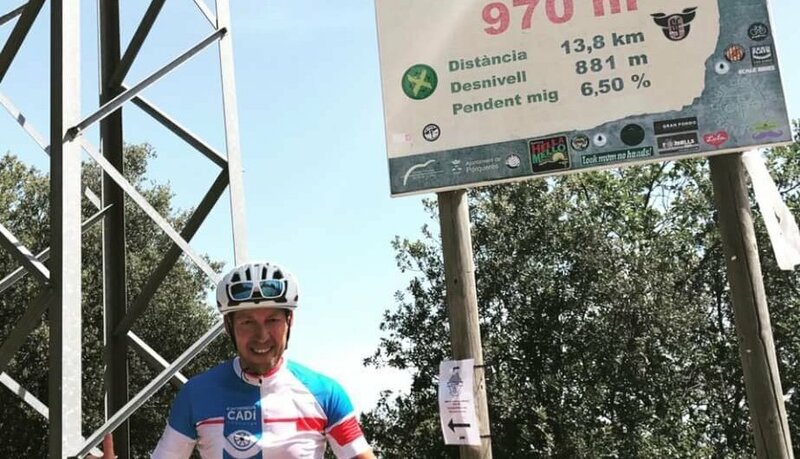 There are other very known climbs (Els Angels, very close to Girona probably the most popular one), but if you are searching for some steep climb, do not hesitate, this is it. Rocacorba is a Sanctuary and it means literally "folded rock". The road leads to an antena at the end of the climb (it is a "cul de sac" as french say), and the desviation to the Sanctuary is about 200 mts before you get the end of the road. Obviously you have to descend the same way you climbed. Views at the top are spectacular, specially overlooking the Banyoles lake (the climb begins at Porqueres, very close to the popular Banyoles lake, where triathlon is really popular). This road is a pretty modern road as it was just asphalted on 2006 (! ), no wonder it has become a very popular climb just in recent years. Here you have the link to the Strava segment of this iconic climb. Notice some popular riders on top 10: Simon Yates, Adam Yates or David de la Cruz.